New Delhi, July 11 : Today is World Population Day. A day designated to remind everyone about the growing population of the world and their issues thereof. In a country like India, it is a day to remind everyone to about the urgency of population control to build a more sustainable and just future. 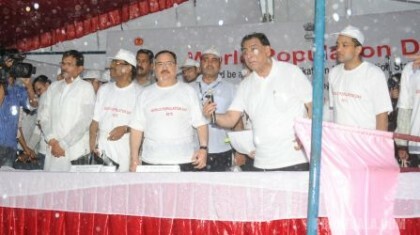 Union Minister for Health and Family Welfare, J.P. Nadda on Saturday flagged off a ‘walkathon’ at India Gate here to mark the World Population Day. “As the World Population Day is celebrated today, the health department has organised this event in two parts… Our department will work towards spreading the awareness for population control… everyone’s support is essential and we will move forward with it,” Nadda said. The event of World Population Day was established by the Governing Council of the United Nations Development Programme in 1989.